Our one of the most popular Kratom strain is Red Bali. 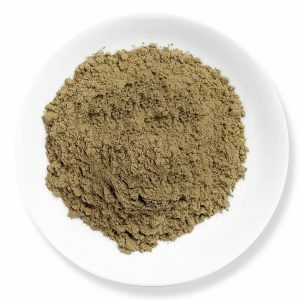 This Kratom powder is most favorite to our customers. Our Wild Red Strain grows in the Jongkong region, where our farmers will harvest the purest and the matured Kratom strain leaf. Without losing the alkaloid contents and the quality. This is wild I say. Sometimes it just blow me up and sometimes it does not. But it is not bad to try. I am really excitedddd to write this review since the product and the service completely satisfied me. I have always been waiting for a high quality product that could relieve of my pain, while I could also experience a mild stimulation. And guess what? This product just read my mind and exceeded my expectations like a boss. Happy that I found them. Expecting products at larger quantities in the future. Well, I am really clueless about this product. I have used it more than once but it scores a home run at times and just flops sometimes. But you might never know when it could just blow you off. Worth a try, given the fair prices. Great piece of communication for a product like this. The best one if you seek euphoria. Why I chose this brand and regard them to be the best is that I will have to consume only less of Red Bali Kratom for my pain compared to other sellers’ products. So it makes me less dependent and decreases the levels of tolerance significantly. I really don’t know how they accomplish that with their products. Must be a result of great research and care towards the people and society. Anyways kudos.Keep going!! What an overall sense of well-being it imparts. Too good. A very good analgesic product at Kaybotanicals that is relaxing, potent and very long lasting. My new energizer and pain killer to be specific. And my new best friend is Kaybotanicals for they understand my needs better than anyone out there. Not a review. But my personal opinion. It is just powerful initially and starts fading away sooner. But then it worked for me perfectly. Placed my second order with Kaybotanicals. The shipping is on time no matter what. I am yet to try this strain that I have ordered but really good quality products here. Mixed feelingsss.. good service though!! Not a person who rates products but 4.5 stars to this small bomb. The best site so far for me. 4.4 / 5 based on 1336 ratings.